Neil Kishter who last year received the James L. Eichberg Lifetime Achievement Award at the Leukemia & Lymphoma Society’s 31st annual Leukemia Ball. One of the Washington, D.C., area’s most prominent charity events, the Leukemia Ball, now has a date: March 16, 2019. 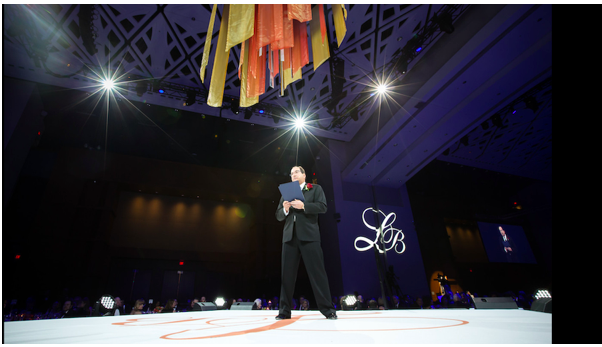 The event, which has been held for more than 30 years and raised more than $62 million for the Leukemia & Lymphoma Society, will take place at the Marriott Marquis in D.C. Guests at the 2019 gala will enjoy entertainment from comedian Kathleen Madigan and musical performances by O.A.R. The 2019 Leukemia Ball is co-chaired by Richard Bynum, president of Greater Washington at PNC Financial Services Group, Inc., and Tom McCarthy, partner at Akin Gump Strauss Hauer & Feld LLP. They lead a volunteer executive committee of more than 45 high-ranking executives across the D.C. area. More details can be found on the Leukemia Ball website.